The U.S. Coast Guard’s top officer for Alaska says they are still working through the impacts of the partial federal government shutdown earlier this year — and probably will be for quite a while. Rear Adm. Matthew Bell is commanding officer of the 17th District. Over 2,500 personnel serve under his command. The district operates and maintains 17 aircraft, 15 cutters or large vessels and 52 smaller boats throughout Alaska. During a recent conversation in his office in Juneau, Bell admitted their readiness has suffered due to the shutdown. He just doesn’t know how much. Bell said the shutdown delayed shipments of parts and supplies to Alaska, and they’re still trying to catch up on the work that wasn’t done. Though he couldn’t say when, Bell said his district will be able to recover from the shutdown sometime in the future. Bell doesn’t believe there are going to be any lingering issues moving into the height of the summer fishing season. 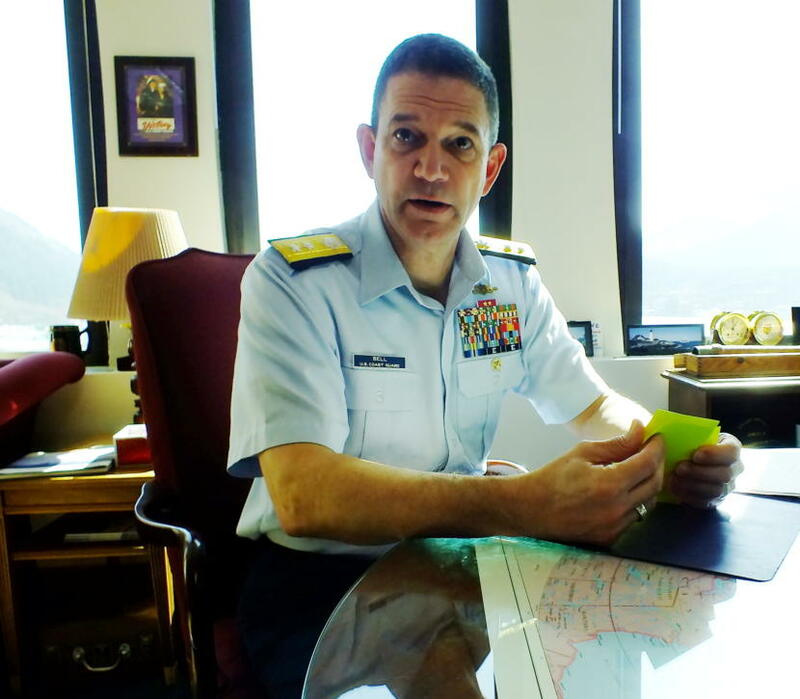 Bell said the Coast Guard is again focusing on the Bering Sea and the Chukchi Sea as the sea ice retreats this summer. It’s the 11th year for their Arctic Shield operation, which includes marine mammal and coastal surveys and stationing two helicopters in Kotzebue for the summer. Bell said they’re also trying something new around the state this summer called a Maritime Safety Task Force, in which the Coast Guard inspects shore facilities for potential oil and other pollution issues. Bell said it’s been as long as five years since some of those communities were visited by the Coast Guard.